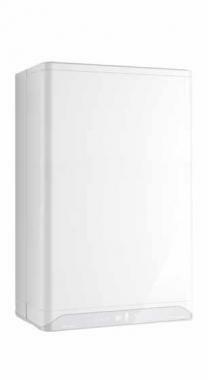 The Xclusive 30kW Combi is a highly reliable condensing gas boiler to be mounted on the wall and have been designed and manufactured by Intergas. Being a compact Combi unit, it will help you to save space in your home as it doesn’t require any bulky tanks or cylinders. Perfect for smaller properties that don’t have much space to spare. As well as being reliable, this is a highly efficient boiler, as you can see from the seasonal efficiency rating of 92% and ErP A rating for heating and hot water. It also has a powerful flow rate of 12.5 litres per minute. With an output rating of 30kW, this boiler is suitable for larger homes with 2 or more bathrooms and a high demand for heating and hot water. Also available in the range is a 36kW unit for larger homes and a 24kW unit for smaller homes with 1 bathroom. Featuring a lengthy warranty of 10 years, Intergas have manufactured a boiler they believe in and give you peace of mind that it won’t let you down.